Nutrisca offers several dry dog food flavors, including Lamb & Chickpea, Salmon & Chickpea and Chicken & Chickpea. For cats and kittens, Nutrisca offers chicken and salmon flavors. The Nutrisca line of pet foods is made with only premium, high quality ingredients. The foods are specially formulated to be high in vitamins and minerals for superior health benefits. The foods are also high in protein and the company does not use typical fillers like wheat, corn or soy. The Dogswell and Catswell brands are dedicated to creating high quality, safe pet food products that help beloved pets live longer, healthier lives. Their distribution and manufacturing process uses the highest standards for making their pet foods. The dry dog foods are potato and grain free. Most cheap and mass produced dog food brands are made with high amounts of grains and potatoes, as these ingredients give the food more volume and are cheaper in price than meats and vegetables. Nutrisca instead chooses to use high protein chickpeas in their foods, which is healthier than grains and potatoes. The meats included in the food are from antibiotic-free animals. To take advantage of this offer, click on this link and click on the Kroger store logo you wish to make your purchase at, you will then be directed to a page where you can log in to your store account and you will then be able to load the discount onto your store card. 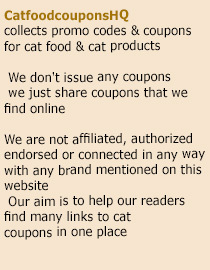 The coupon can be used up to five times for a single transaction. This entry was posted in Nutrisca. Bookmark the permalink.